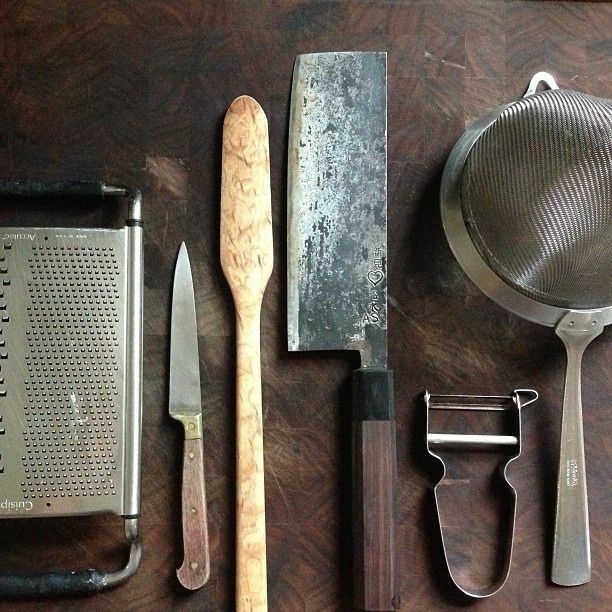 Last week, in anticipation of the launch of Provisions, we asked you to share your favorite kitchen possessions on Instagram. 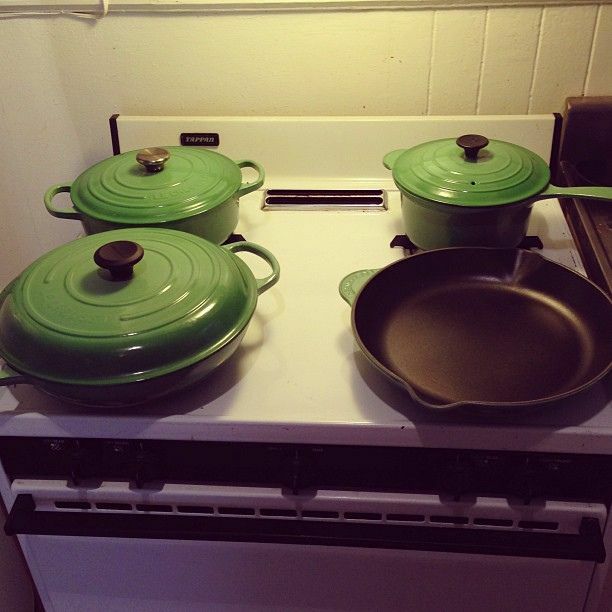 You responded with knives, wooden spoons, and a rainbow of Le Creuset pots; it was a beautiful sight. We know that you'll find some new kitchen heirlooms once Provisions launches -- but first, we want to celebrate the tools that have already set up shop in your hearts and your kitchens. See our favorite #F52grams below, and track the hashtag here. First, there are the tools: most of us consider certain knives, wooden spoons, and cast-iron skillets integral parts of our families. We treat them like our babies. And we photograph them with the same affection. Clockwise from top left, these 'grams come from: annladson, emma_vg_mc, pinkpatisserie, and lisachristinelynn. And then there are the collections. 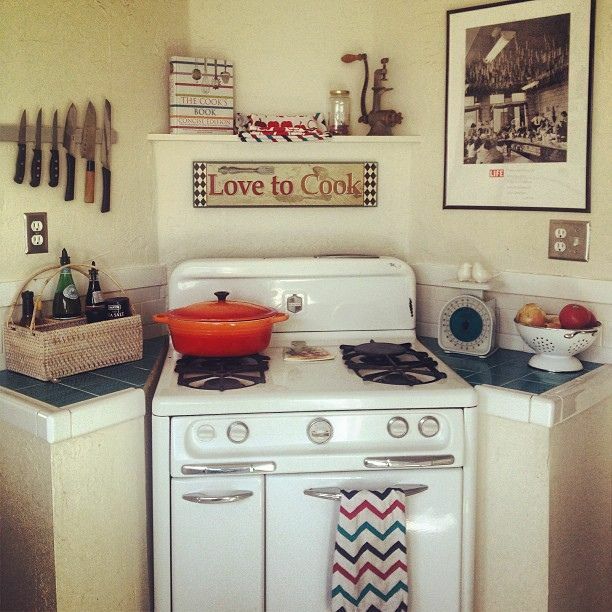 Many of the goods in our kitchens get stowed away to minimize clutter and maximize counter space, so the things we keep visible, those things we show with pride, are extra special. 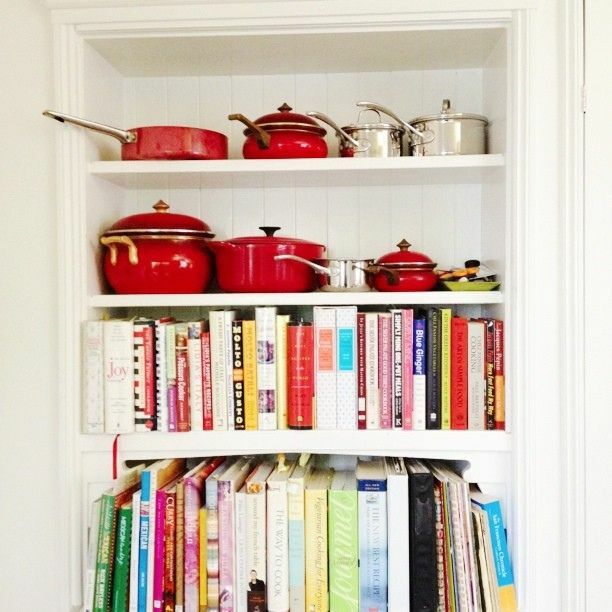 Le Creuset braisers, multicolored stacks of bowls, and well-curated cookbook collections all make the cut. Clockwise from top left: stellar_regions, helenisnotsorry, xolisalisaxo, and emma_vg_mc. More: Are you following us on Instagram yet? Because you should be. Lastly, we loved your odds and ends: grandma's old biscuit cutter, a Ron Swanson mug (this rocks), a ceramic holder for your eggs, and a VIP appliance lineup. Clockwise from top left: jeanbeans, valgriswold, jackgermain, and kfernandezmata. Have more to share? 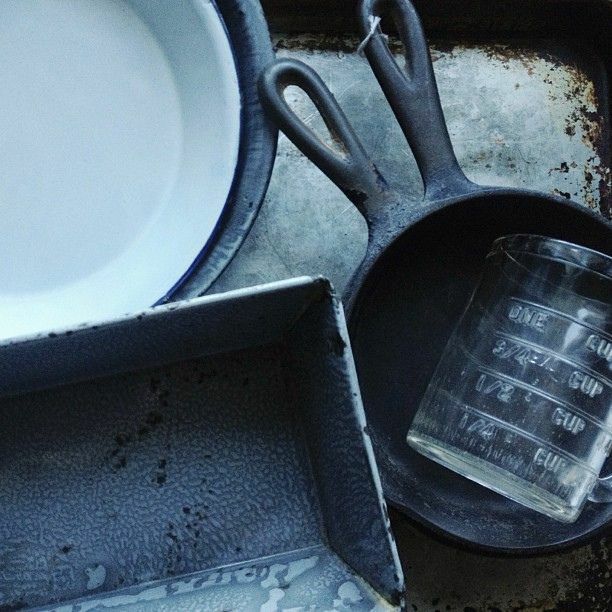 Show us your best on Instagram with the #F52grams hashtag; we love to regram our favorites. And keep an eye out for next week's theme! 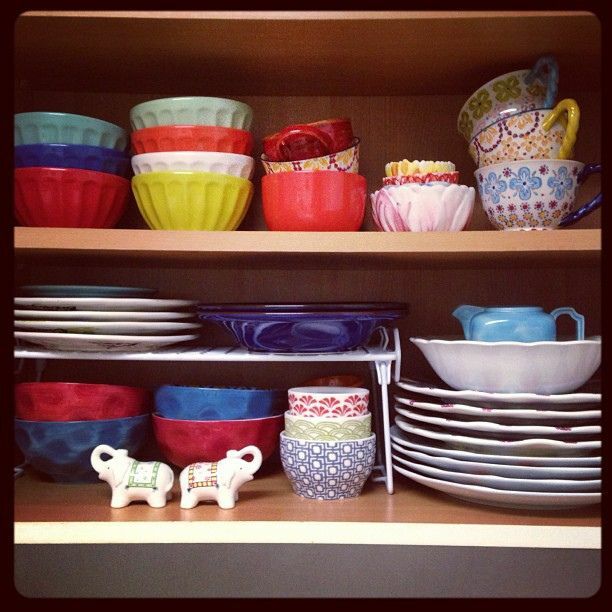 You'll soon be able to add to your collection of beautiful kitchen wares. Sign up for Provisions here, and we'll send you the latest updates on what we're stocking -- and when we launch! Sorry about that! We've corrected your name. No worries. Thanks for including my photo and the great post! 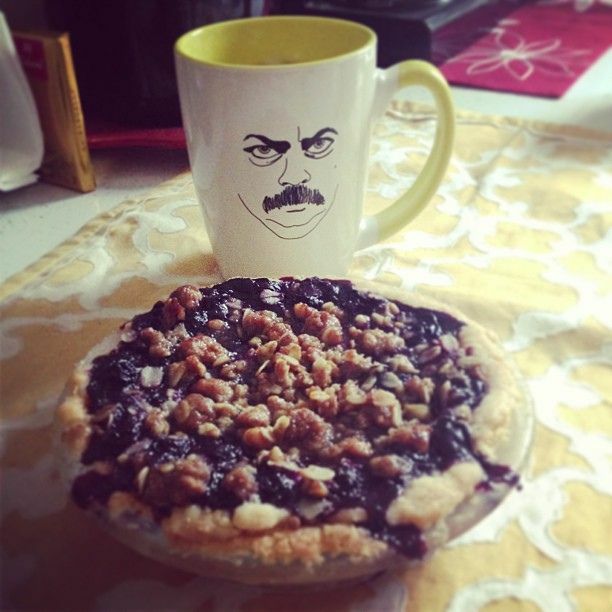 I need to work on a more interesting mug collection! Love this post.